By analyzing Mercury’s rocky surface, scientists have been able to partially reconstruct the planet’s history over billions of years. Now, drawing upon the chemical composition of rock features on the planet’s surface, scientists at MIT have proposed that Mercury may have harbored a large, roiling ocean of magma very early in its history, shortly after its formation about 4.5 billion years ago. The scientists analyzed data gathered by MESSENGER (MErcury Surface, Space ENvironment, GEochemistry, and Ranging), a NASA probe that has orbited the planet since March 2011. Later that year, a group of scientists analyzed X-ray fluorescence data from the probe, and identified two distinct compositions of rocks on the planet’s surface. The discovery unearthed a planetary puzzle: What geological processes could have given rise to such distinct surface compositions? To answer that question, the MIT team used the compositional data to recreate the two rock types in the lab, and subjected each synthetic rock to high temperatures and pressures to simulate various geological processes. From their experiments, the scientists came up with only one phenomenon to explain the two compositions: a vast magma ocean that created two different layers of crystals, solidified, then eventually remelted into magma that then erupted onto Mercury’s surface. MESSENGER entered Mercury’s orbit during a period of intense solar-flare activity; as the Solar System’s innermost planet, Mercury takes the brunt of the Sun’s rays. The rocks on its surface reflect an intense fluorescent spectrum that scientists can measure with X-ray spectrometers to determine the chemical composition of surface materials. As the spacecraft orbited the planet, an onboard X-ray spectrometer measured the X-ray radiation generated by Mercury’s surface. In September 2011, the MESSENGER science team parsed these energy spectra into peaks, with each peak signifying a certain chemical element in the rocks. From this research, the group identified two main rock types on Mercury’s surface. Grove, Charlier and Zuber set out to find an explanation for the differences in rock compositions. The team translated the chemical element ratios into the corresponding building blocks that make up rocks, such as magnesium oxide, silicon dioxide and aluminum oxide. The researchers then consulted what Grove refers to as a “pantry of oxides” — finely powdered chemicals — to recreate the rocks in the lab. “We just mix these together in the right proportions and we’ve got a synthetic copy of what’s on the surface of Mercury,” Grove says. The researchers then melted the samples of synthetic rock in a furnace, cranking the heat up and down to simulate geological processes that would cause crystals — and eventually rocks — to form in the melt. After cooling the samples, the researchers picked out tiny crystals and melt pockets for analysis. The scientists initially looked for scenarios in which both original rock compositions might be related. For example, both rock types may have come from one region: One rock may have crystallized more than the other, creating distinct but related compositions. But Grove found the two compositions were too different to have originated from the same region, and instead may have come from two separate regions within the planet. The easiest explanation for what created these distinct regions, Grove says, is a large magma ocean, which over time likely formed different compositions of crystals as it solidified. 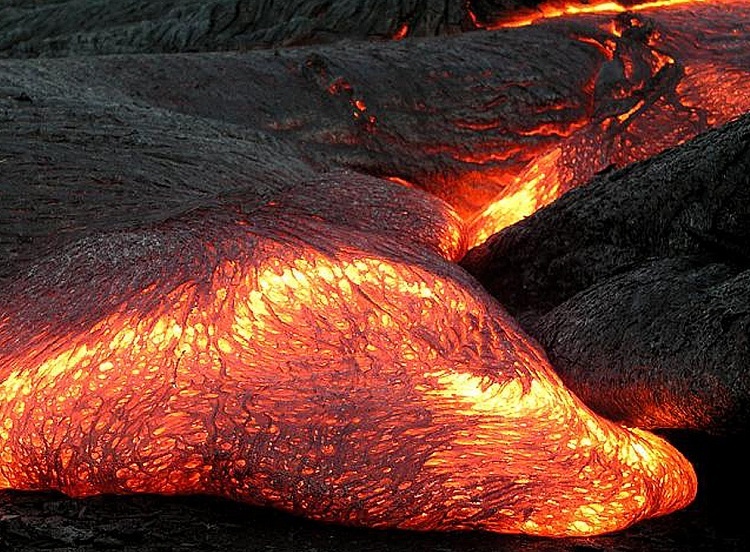 This molten ocean eventually remelted, spewing lava onto the surface of the planet in massive volcanic eruptions. Grove estimates that this magma ocean likely existed very early in Mercury’s existence — possibly within the first 1 million to 10 million years — and may have been created from the violent processes that formed the planet. As the solar nebula condensed, bits and pieces collided into larger chunks to form tiny, and then larger, planets. That process of colliding and accreting may produce enough energy to completely melt the planet — a scenario that would make an early magma ocean very feasible. Larry Nittler, a staff scientist in the Department of Terrestrial Magnetism at the Carnegie Institution of Washington, led the research team that originally identified the two rock compositions from MESSENGER data. He says the MIT team’s experimental results propose a very likely early history for Mercury.